The Mrs. Fisher: Five for Friday and a Nordstrom Giveaway! Five for Friday and a Nordstrom Giveaway! Hey there Friday! So glad to see you! I have felt crazy busy all week. What about you? Has September felt crazier than usual? Just me? Earlier in the week, I posted about transitioning from summer to Fall so I thought this Friday, I'd highlight my five favorite things from the Nordstrom Sale that will get you through the rest of this warm weather and into the coziness of fall. 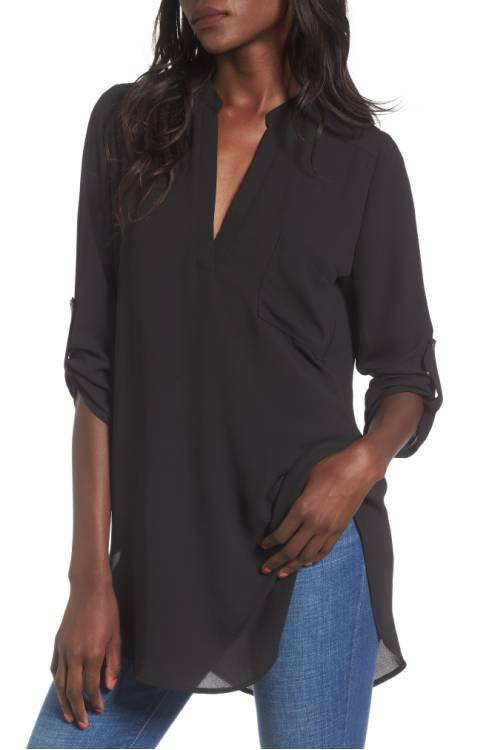 This lush roll sleeve tunic is perfect with jeans or leggings. It's light enough to wear now but will pair really well with boots and scarves when the weather starts to turn. And the really good news? It's under $30! A cozy pull over? Yes, please. 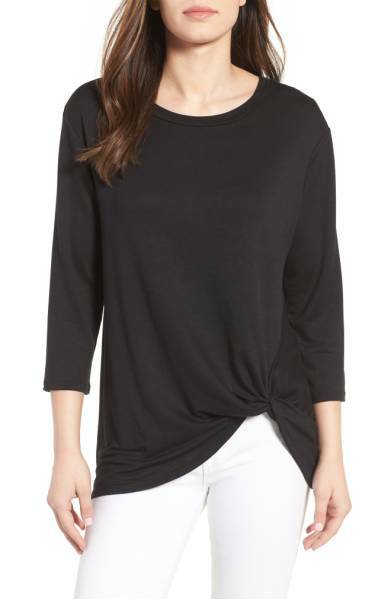 This Bobeau twist hem top is so soft. You'll want to wear it every day. You can snag it for under $30!!! The tie detail at the waist gives it a little more interest than your typical top. Pair it with a fun necklace, like the Lindsay, or the Riva Chandeliers, and you are ready for drinks with the girls. I love a knit blazer. I love how it's unstructured and lightweight. This Olivia Moon knit blazer comes in ELEVEN options and it's under $50! It will look great with your summer tank tops, jeans, and sandals and then just as good with your boots in the cooler temps. A peep toe bootie is the perfect transitional shoe to get you into fall. 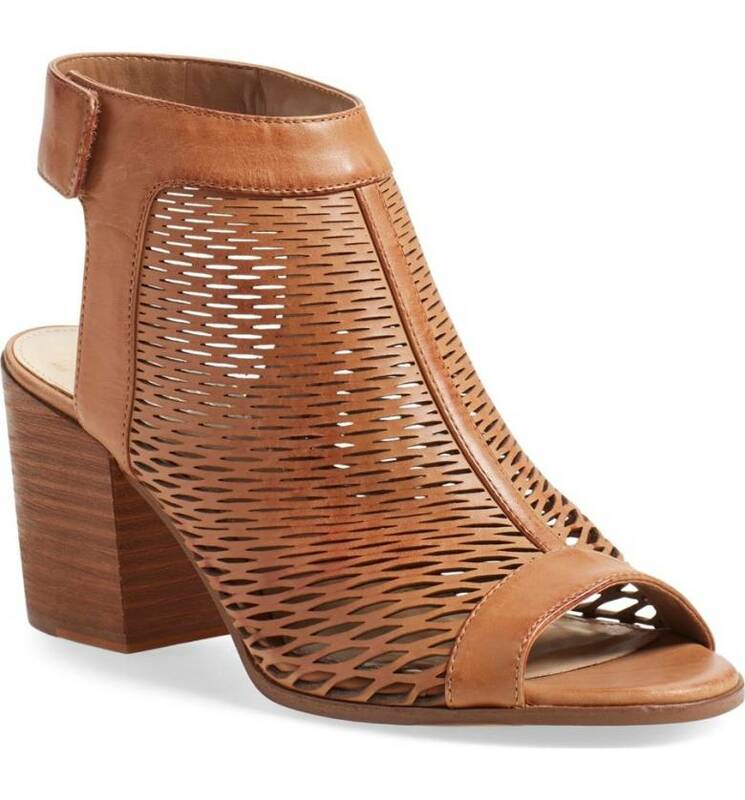 Part sandal, part bootie, these Vince Camuto peep toe booties are perfection. They would work with everything I've highlighted above - and more! My favorite way to wear them? Pair with a dress and jean jacket for date night. Rose Gold is really having a moment and I snagged this fun J. Crew sequined skirt for my rehearsal dinner. I know, right? I cannot wait to wear it! And...it's marked down 40% to $80! Grab this one for the holidays. You won't be sorry. Those are my faves from the sale and now...on to the giveaway! To thank all of my dear readers, I am giving away a $100 gift card to Nordstrom! Get an early start on Christmas shopping or splurge and snag something for yourself. Enter the rafflecopter below! Winner will be announced next Friday! Me too! 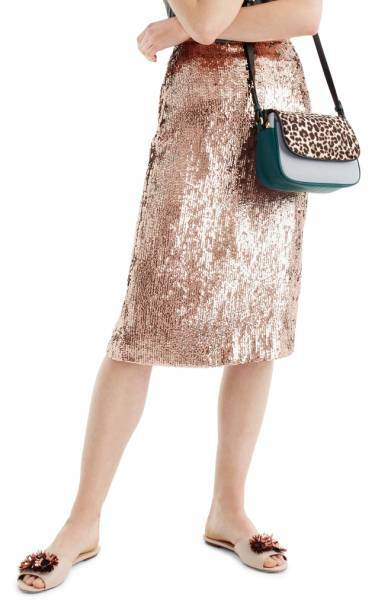 I love that skirt - as soon as I saw it I knew it would be perfect for our rehearsal dinner in October.